Practical comfort. 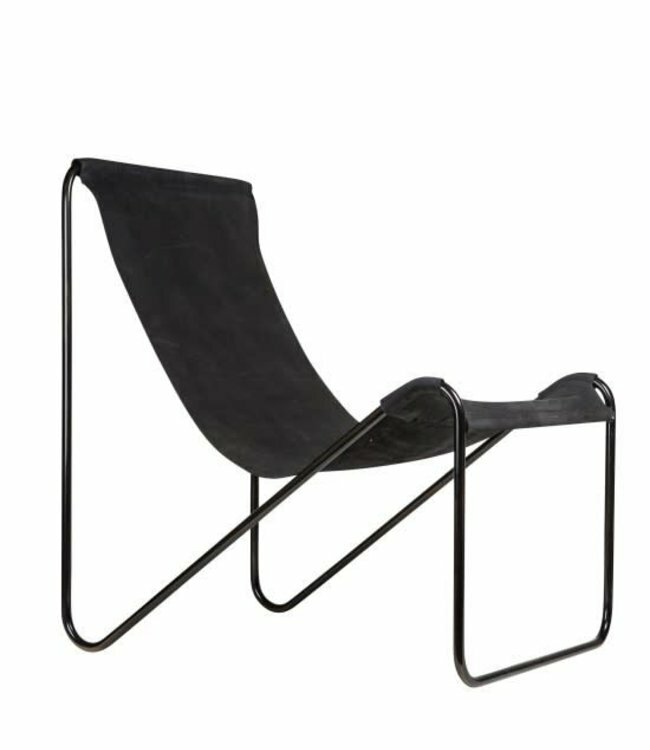 A graceful sling attached to a black steel frame creates an amazingly relaxing seat. Scaled for small spaces, this chair provides extra seating while not leaving a large footprint. The leather seat is nubuck in a dark grey/blue with slightly distressed black metal frame.